September Networking Event – Social media for beginners: what, how and do you really need it? Since beginning at The Centre for Volunteering in March I’ve been gathering feedback from our members, volunteers and others who engage with The Centre, reviewing what we offer and how we might enhance our services. To consolidate the findings so far, in September we are planning to launch the first of our twice yearly Member Surveys. These surveys will help us understand what our members want from The Centre and give people the opportunity to comment on our services. In the meantime, members and other stakeholders are always welcome to provide feedback or suggestions via email or by calling The Centre on 02 9261 3600. 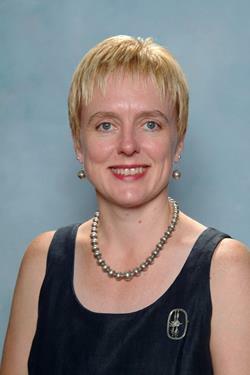 For those who have not received recent correspondence, it is my great pleasure to introduce our new Director: Communications and Business Development, Kylie Yates. Kylie comes to us from a senior executive background in the Public Sector and State Owned Corporations. She has extensive knowledge and expertise in communications and will be a great asset to The Centre and to you, our members and loyal supporters. I look forward to being able to introduce you to her in person. The issue of Internships is very topical at the moment. I commend you to the information provided by our Volunteer Referral Service Manager, Avril Samuels, later in The Voice. It is important we are all aware of our responsibilities in this area. There are only a few more days left to nominate volunteers for the Volunteer of the Year Awards. Don’t miss out, nominate now. We are pleased to announce the recipients of the 2014 IAVE Scholarships. We want to thank all members who submitted applications for the scholarships, and look forward to hearing from Amitha and Carolyn about their experiences at the conference. This month the Centre took part in a half-day Australian Government consultation workshop on the design of its proposed Civil Society National Centre for Excellence (NCE). Our Director Communications and Business Development Kylie Yates attended the workshop and represented our members’ views. In particular, even though the ACNC was out of scope for this workshop, we noted the similarities between the NCE proposal and the same work already being done effectively by the ACNC. The Centre confirmed its support of the retention of the ACNC. We also presented our view that none of the draft models in the report were suitable because they were not based on outcomes. The outcomes of the NCE have not been defined by Government, including whether it will assume some of the important reporting functions of the ACNC. The CSI is presenting a final report to Government and the Centre for Volunteering will be kept updated. We will continue to update our members. One of the most common questions we’re asked by our member organisations with a role to fill is if there is a difference between internships and volunteer roles. The Centre’s Volunteer Referral Service Manager, Avril Samuels, said it is important for member organisations to know the difference between an internship and a volunteer placement because there can be legal consequences if a role as incorrectly advertised as an internship. 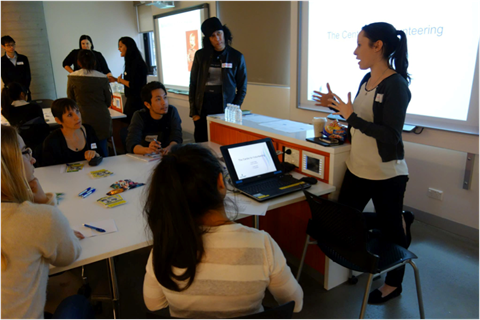 “The area of internships is a complex, often grey area, but it is important to take time to ask yourself five key questions about the role will help you define it,” Avril said. The Member Benefit – previously known as FIDO is now called Skilled Volunteering Weekly Alert. The service was renamed to better refelect the service it actually provides. The FIDO website has been morphed into the Centre's main website. Our Members are now requested to fill out our online Job Description form to list their skilled roles and are asked to specify that they wish this role to appear in The Alert. The week of 4-10 August 2014 saw The Centre for Volunteering celebrating the second annual National Student Volunteer Week (NSVW2014), an initiative of Volunteering Queensland. On this occasion, The Centre for Volunteering was fortunate to attend some great events in recognition, celebration and support of student volunteering. Maximum impact is certainly what was experienced when attending a Max Potential Showcase. The Showcases are the finale of 22 weeks of hard work by young adults who have been developing their leadership skills and designing and implementing a community based project through the Max Potential program. The Showcases allows the young adults to creatively represent and celebrate their project with their peers, coaches, families and community leaders. Keen to know more about social media? Is it something you really need? How do you figure out if you need it? And then, how do you choose what platforms to use? All these questions and more will be answered with Corrie McLeod. More #SelflessSelfie Winners! 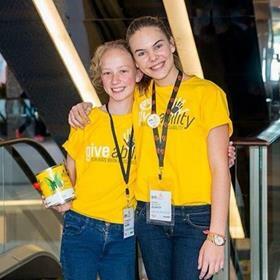 This is Ruby Mann who is pictured fundraising at Westfield Bondi Junction with her friend Emma to raise money for children with disabilities, through the Holdsworth Centre. Ruby has kindly donated her $100 to Bear Cottage. 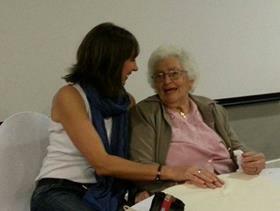 Penny has been volunteering for over 20 years and she is pictured here visiting her friend Jean who is 100 years old! All our SelflessSelfie winners are now in the draw to win an iPad Air. To help them win, visit our Facebook page and "like" your favourite Selfie. The picture with the most likes as of 12 September wins! 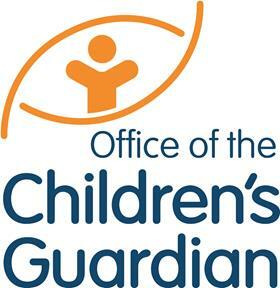 The Office of the Children's Guardian is running a number of seminars around the State specifically for volunteers and volunteer organisations to assist them with creating child safe policies and procedures, improving risk management strategies and providing them with tips and tools to make volunteer organisation child safe. A few weeks ago good friends Siobhán and Jacquie gave their sons an experience to treasure. Luca and Mackenzie together with their mums volunteered to cook a meal for about forty people at the Asylum Seekers Centre in Sydney, one of Kids Giving Back's charity partners. 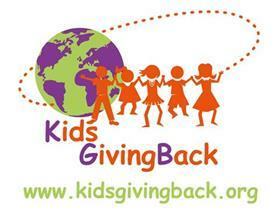 Kids Giving Back loves offering families this opportunity each school holidays. "The meal we prepared for the Asylum Seekers Centre through Kids Giving Back was a richly rewarding experience and one which we hope will instil in our children the values we hope they will grow up with – compassion, empathy, gratitude, respect for difference and an understanding of the importance of giving back to the community...... It was truly humbling to witness the kindness and appreciation of the people we’d cooked for, and the people we met made a strong impression on us as well as our boys."